Hoos Smooching? 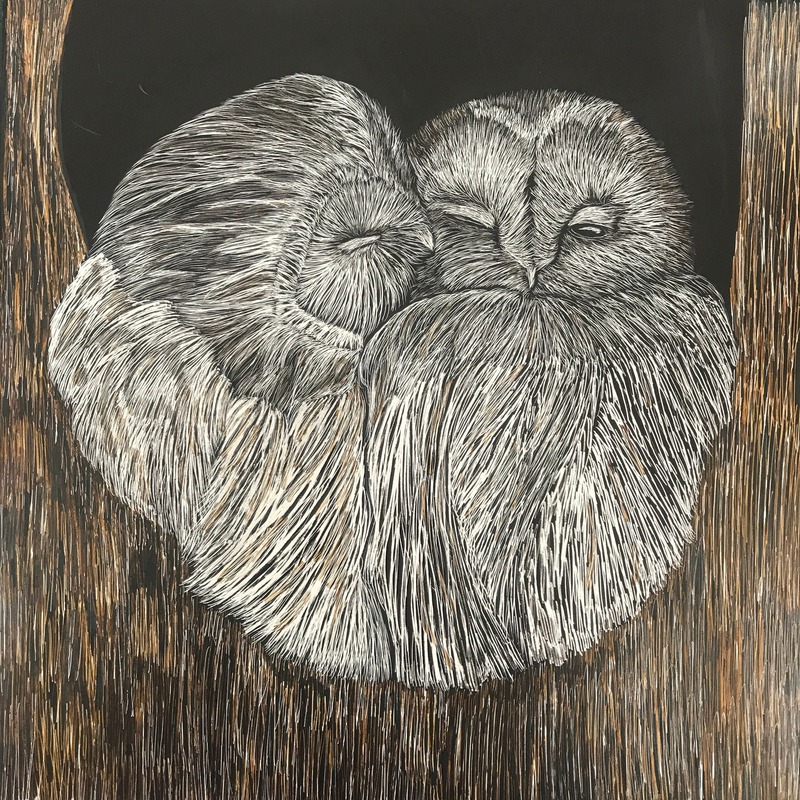 Snuggling scratchboard owls! This hand-etched scratchboard was rendered line by line: the scratchboard is a hardboard (masonite) coated in white clay and covered in black ink. The image is etched into the hardboard by removing the black ink to reveal the white below, line by line. These are Barred Owls which represent a number of Hoos In Love that I have posted on my etsy page. The square board is 6 inches x 6 inches across. Payments must be made prior to shipment of listing. Cancellation will need to occur within 24 hours of purchase. Please contact me directly for cancellations. Check listing for shipping time. Commission timing will be worked out between us directly. Refunds must be worked out directly. No refunds will be offered after one week from shipping. I'll be happy to complete quality custom orders for you. See my listings or get in touch with me directly!